Birch trees belong to the genus Betula and are classified as part of the Betulaceae family. Their beautiful bark and leaves make them a common choice in landscaping. They are water lovers, which can be great if you have soil that tends to be moist. However, the roots might head for your plumbing pipes if a large tree is planted too close to your house. Do not let this deter you, though; these are magnificent trees and should definitely be considered for inclusion in your landscape. 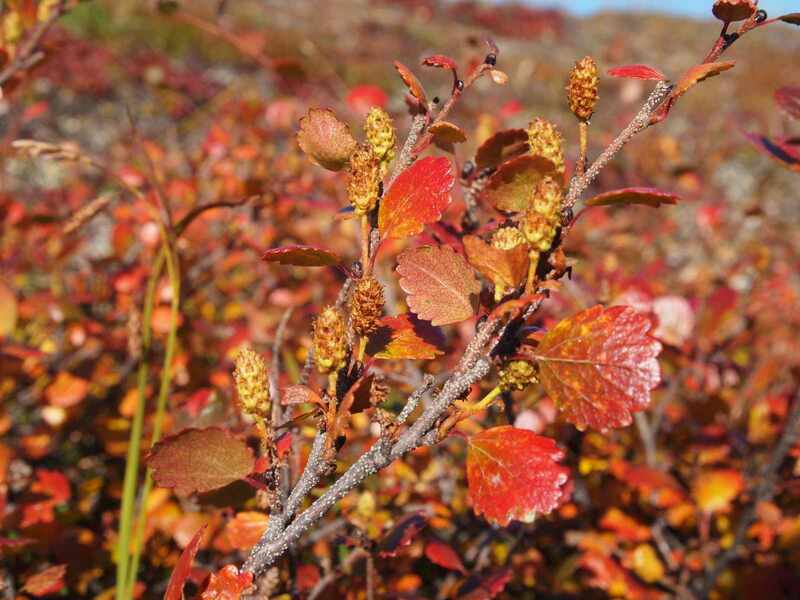 Bog birch is a medium-sized, short-lived, clump-forming shrub for wet habitats. It thrives in wet sites. It can tolerate occasional flooding, alkaline soil, clay soil, and road salt. It does not tolerate pollution well. Sweet birch is an attractive tree for lawns and naturalized areas with shiny, red-brown bark and yellow foliage. This tree also attracts beautiful butterflies to the landscape. This tree is resistant to bronze birch borer. Due to susceptibility to bronze birch borer, this tree is not recommended for planting and usually requires removal and/or replacement. Downy birch has a narrow habit and gray-white bark. Betula nana is native to arctic and cool temperate regions. It will grow in a variety of conditions. In general, it favors wet but well-drained sites with a nutrient-poor, acidic soil which can be rocky. It does not tolerate shade well. Its ornamental interest includes pretty spring flowers, rich yellow fall color, and its papery bark. However, it is susceptible to the bronze birch borer and usually requires removal and/or replacement. Botanical Name: Betula jacquemontii or Betula utilis var "Jacquemontii"
This species is best grown in medium to wet, well-drained, sandy or rocky loams. Although it prefers full sun, it is best sited in a northern or eastern exposure that receives some afternoon shade. It needs consistently moist soils. This tree has lovely white bark and yellow fall color. Paper birch is named due to the thin white bark which often peels in paper like layers from the trunk. It demonstrates some resistance to the bronze birch borer. River birch is a popular, fast-growing tree for the home landscape. Attractive salmon-pink to reddish-brown bark exfoliates to reveal lighter inner bark. Dark green foliage turns a beautiful buttery yellow in the fall. It is resistant to the bronze birch borer. 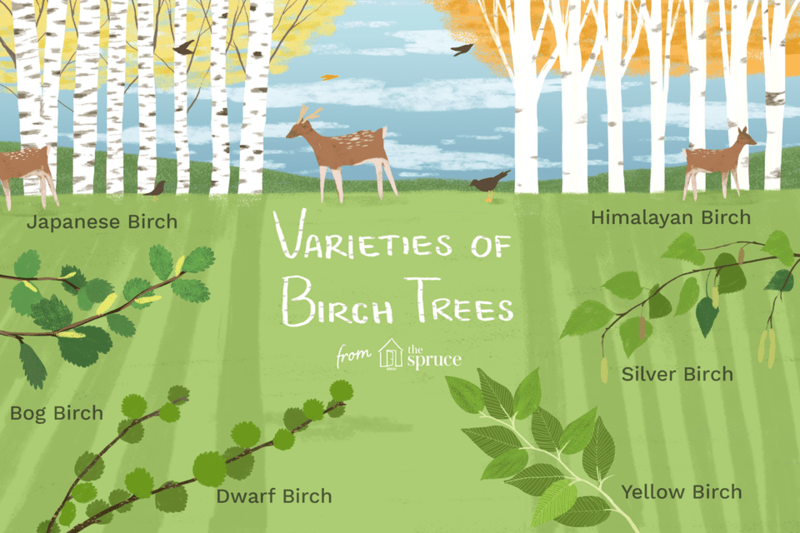 It is one of the only heat-tolerant birches. This tree has an attractive pendulous habit. This tree was once used extensively in landscapes, but its high susceptibility to the bronze birch borer has limited its use in more recent years. Preferred Hardiness Zones: 2 to 7; it can be grown in 8 and 9, but will have a shorter life. This tree typically occurs along streams in mountainous regions. The bark is dark red-brown to blackish, and smooth. Unlike other birch trees, its bark does not peel. Size: Shrubby form. Usually up to 25 feet tall, sometimes to 40 feet. Weeping birches are different varieties of silver birch or Betula pendula. Exact details such as zones will depend on the particular variety. Yellow birch, named for the color of its bark, is a relatively long-lived birch which typically grows 150 years and may even grow up to 300 in old growth forests. It is a tree commonly used for lumber.